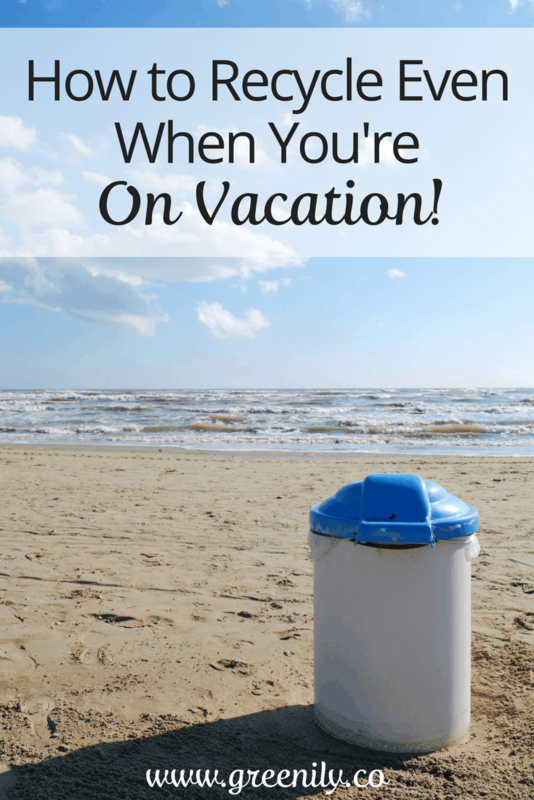 Don’t Take a Vacation From Recycling! You go on vacation to get away from life for a while and leave everyday tasks behind, right? 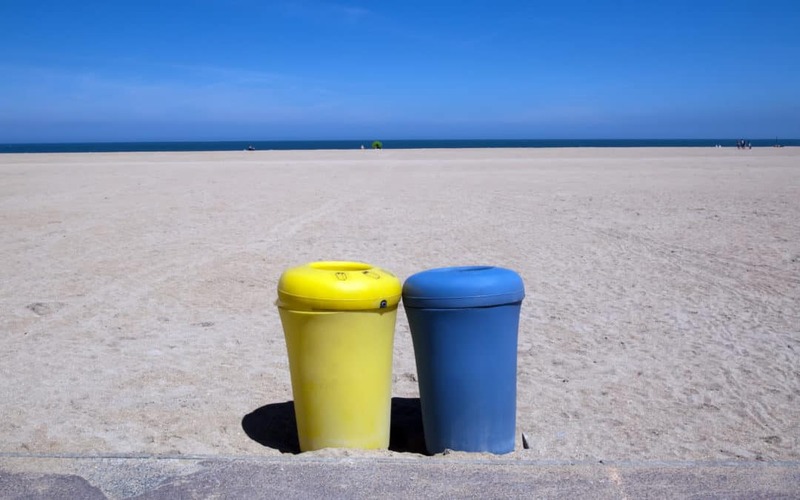 You don’t want to think about anything – especially not recycling bins! What if I asked you to take the task of recycling with you on vacation? Do I hear a big, “Ugh! !” or “It’s just a week!”? I hear you….but think about how much garbage you can produce in a week (read “How Much Garbage Do We Produce?”). Think about how much of it will end up in a landfill? I recently returned from a vacation in beautiful Lake George, NY. We rented an awesome house with great friends. As we unpacked and set things up I began to wonder if we’d be recycling – weird, I know! Anyway, despite being really passionate about recycling, I’m always a little concerned about imposing on other people. I’m afraid they’ll think it’s weird or a pain – or both! My husband’s “loving” comment was actually helpful. It got us all talking about what we could and couldn’t recycle at the house, how to sort things and what day trash and recycling would be picked up. It also got us talk about Greenily – bonus! Shortly after the quick recycling/Greenily discussion one of the dads disappeared for a while. Upon his return to the group he proudly announced to me his awesome, incredible job of sorting all of the recycling. 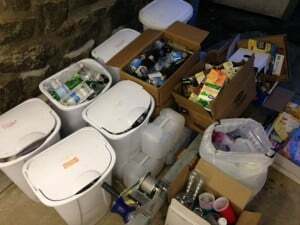 He had spent close to an hour – if not more – separating out all of the recyclables from the previous week’s renters into multiple bins! It was so nice of him to do it and it really, truly made my day! I really appreciated it! By the way, here is a picture of all of his hard work! Wish I had a before shot too ’cause it was a wreck! On top of my being thrilled he also got a huge “thank you” from the recycling pick up guy!! Bravo!! After that I felt much more at ease about encouraging the group to recycle. I felt so comfortable that I set up a recycling bin in the kitchen which ended up being emptied once a day or so. Even the cans and bottles from the boat house made their way into the recycling bin! Bring reusable water bottles on the trip. 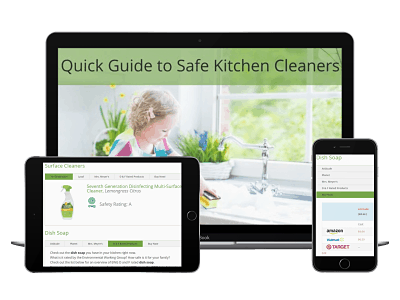 This will help minimize the need to purchase plastic bottles. Stock up on some basic groceries (using your reusable bag!) to cut down on carryout food since it’s likely packaged in plastic or styrofoam containers. Carryout food also usually comes with plastic utensils, cups and straws that can’t be recycled. If you are renting a house or an apartment, find out what day trash and recycling is picked up or if you have to drop it off. The beach we frequent has trash dumpsters everywhere but recycling dumpsters only in certain locations. Not super convenient but now we know where they are so stopping by one is part of our routine. While you are at it, find out how the town you are staying in requires trash and recycling to be sorted. 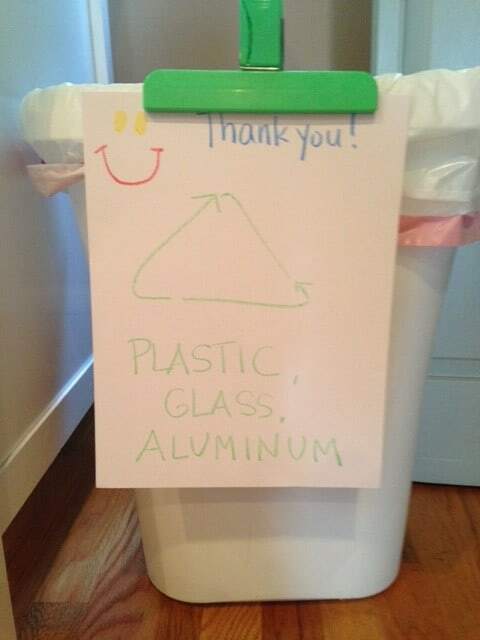 At home we have to separate paper from plastic and aluminum. At the beach, where we vacation, recycling is single stream (paper, plastic and aluminum can all go together). Based on the info you learn about sorting, set up some bins or bags to sort your trash and recyclables at the start of the week. Taking a few minutes up front to set bins up will definitely increase the chances that you will actually recycle during your stay. So there you go! 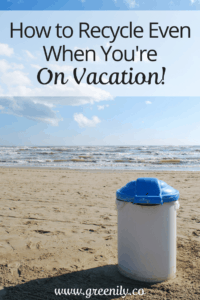 You can recycle and send less to the landfill even while you’re on vacation…and still relax! A little prep work at the start of the trip makes it easy! Give it a try and have a great vacation!